We have launched Shoreditch Nails Academy, creating nail courses with a difference, have fun learning from our trend-setting teachers in our super-cool venue, celebrate with cocktails by Most Wanted Wines and have the opportunity to work with us. Our courses have been extremely popular with mums looking for flexible working, full-time workers and people just looking to learn something new. We believe that our academy is the perfect aid for those who fancy a career change, crave to build on existing skills or just want to do something to promote self maintenance. We offer full courses that run over four weeks or one day workshops, find more details below. 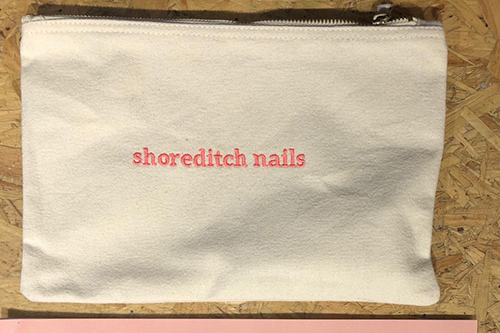 Enquiries and to book email tina@shoreditchnails.com. Running over four consecutive Sundays this course will cover all of the basics to enable you to work as a qualified nail technician. The courses are also worth 66 CPD points and comes with a free nail kit. 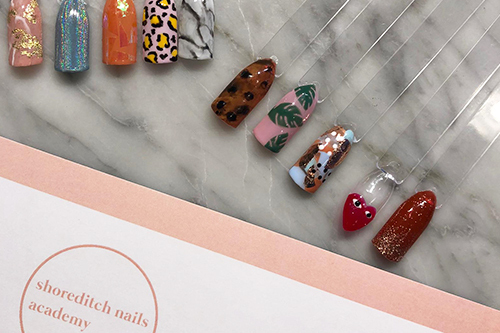 These one day courses will guide you through all of Shoreditch Nails' signature designs. If you are already a qualified technician our one-day nail art courses are perfect to build on your skills. NEW payment plan: We can reserve you a place on the course but we would require 50% of the cost of the course within 48 hours of reservation to then secure your place. The remaining 50% can be paid up to two week before the start date of the course. 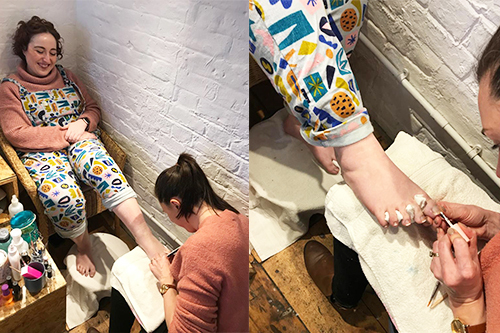 ‘The Nail Art course provided by Hayley at Shoreditch Nails was brilliant!